Combine the best of the Ammarnäs Mountains: fishing and Icelandic horses. Join Fjällhästen for an exclusive fishing for brown trout and Arctic char in the Ammarnäs Mountains. The steady Icelandic horses take us to the different fishing waters in the area. Exclusive fishing for brown trout and Arctic char in exemption waters situated in the Nature Reserve of the Vindel Mountains. The steady Icelandic horses, used to walking in trackless mountain terrain, will first take us to Tjaskal where the fishing takes place in a small system of meres on the border between birch forest and bare mountain. The other days are spent above the tree limit in the Skeble Valley, where we fish in Sámi exemption waters. An exclusive brown trout and Arctic char fishing of world class. 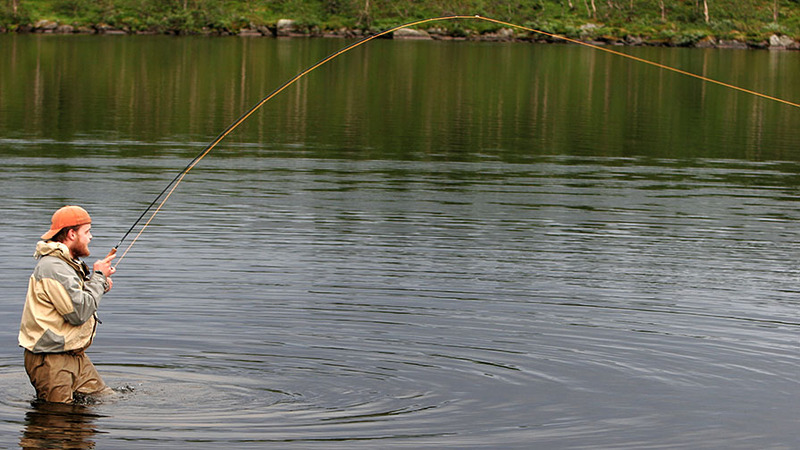 A combined riding- and fishing tour in the Nature Reserve of the Vindel Mountains. For two days we fish in mountain meres for Arctic char and brown trout. The fishing is both from the shore and from float tube to increase the tension and the possibility to get at the bigger fish regardless weather conditions. The steady Icelandic horses are used to walking in trackless mountain terrain.